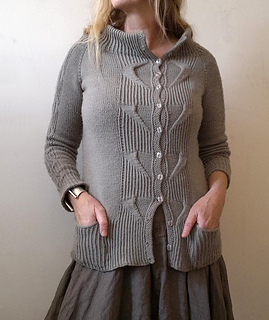 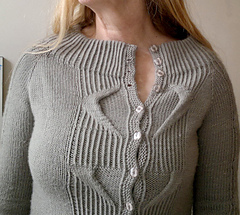 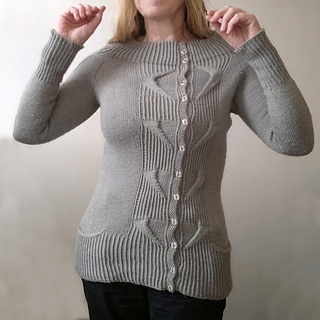 Soble cardi is a cardigan worked seamlessly from the top down in 1 piece, with a raglan sleeve inset and pockets. 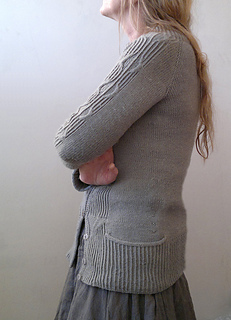 It features a large doubled boatneck collar in twisted ribbing.The large cabled panels with the buttonbands are slightly offset. 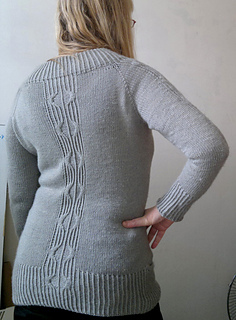 Smaller cable panels figure on the sleeves and the back.